I haven’t had much time to blog lately. Most of my waking hours are split between running around after a nine-and-a-half month old and learning Mandarin. The good news is I can now say “I am a woman” and “that is an apple” in Mandarin. I’m also getting a pretty good daily workout with all the chasing, scooping and picking up. It’s a good thing, too, that Baby Girl is keeping me on my toes–especially on days like today when I was supposed to go with a friend to Mommycise class but forgot to get the car seat out of Matt’s and my car. I was so disappointed we couldn’t go on our outing that I had to drown my sorrows in something utterly American. 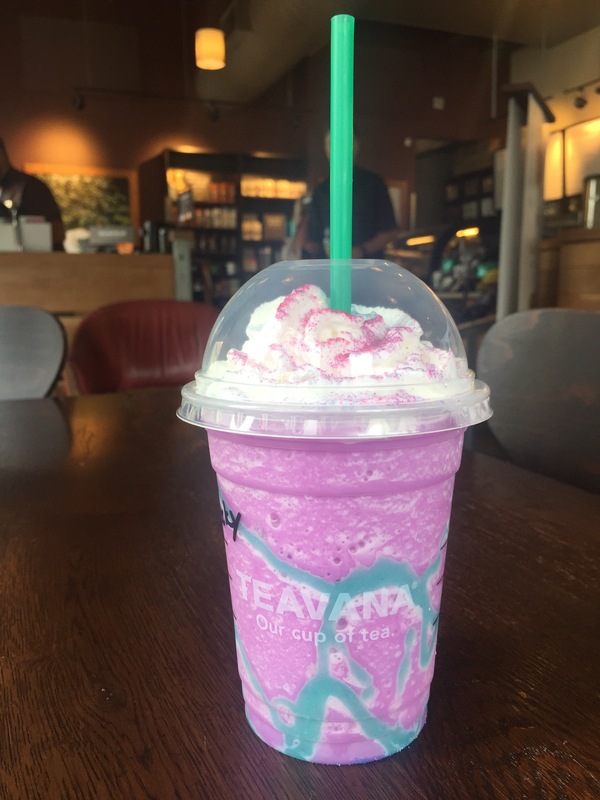 Yes, I succumbed to the hype and walked Baby Girl to Starbucks for the limited-time Unicorn Frappuccino. Search the internet for news on the drink and there are all sorts of reactions, ranging those casting shade on those (like me) buying into the hype and those who are stoked to try the whimsical creation. P.S. I really enjoyed the drink. Normally I’m not one for sugary beverages, but the cream and sour syrup and sprinkles tempered the sweetness. It was like a liquid sweeTART. Perfect aperitif for happy hour later!